Linda Konner Literary Agency :: Speakers Showcase :: Marlynn Wei, M.D., J.D. 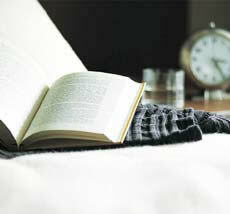 BOOK MARLYNN WEI, M.D., J.D. Return to main page to view all speakers. 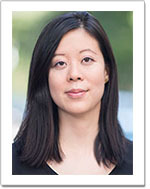 Marlynn Wei, M.D., J.D., is an award-winning psychiatrist, psychotherapist and certified yoga teacher. 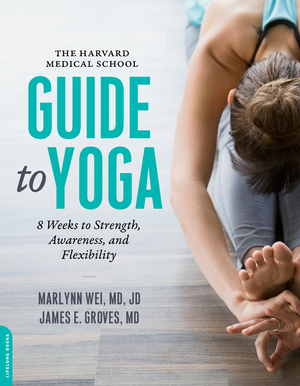 Dr. Wei is author of the Harvard Medical School Guide to Yoga (Spring 2017, Harvard Health Publications and Da Capo), a comprehensive guide that gets to the true healing heart of yoga and its latest research. She is contributing editor to Harvard Health and is a featured contributor for Psychology Today and the Huffington Post. As an expert in mindfulness, resilience, yoga, and nutritional psychiatry, Dr. Wei provides audiences with tools to reduce stress, improve work-life balance, and prevent burnout through her holistic approach integrating mindfulness, yoga, nutrition, and positive psychology. She has been featured on Z Living network, Doctor Radio, SELF Magazine, Prevention, Cosmopolitan, Vice, Mic.com and several other media outlets. Dr. Wei is a graduate of the Yale School of Medicine, Yale Law School and Harvard’s Massachusetts General Hospital/McLean Hospital psychiatry program in Boston. She is the recipient of the Anne Alonso Award for Psychotherapy from Massachusetts General Hospital and member of the Massachusetts Bar Association. Web-site contents © LKLA. Web-site design byeVITAs.